As they say with Springtime, it's out with the old and in with the new! 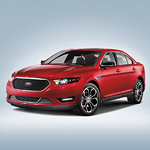 And if you're the type of driver who likes to get noticed while you're driving through Klamath Falls, then the design of the popular Ford Taurus will surely impress you. The full-size sedan garners a lot of attention at every turn! 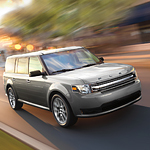 The Ford Flex is a popular three-row midsize SUV that seeks to fulfill what drivers need most, from cargo space to passenger capacity to style and comfort. Whether your journey is just across town or across the country, you'll find a range of thoughtful innovations and comfort features. The 2019 Ford EcoSport is a popular and roomy compact SUV. 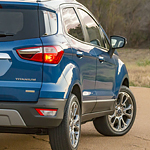 The 2019 EcoSport provides drivers with many of the benefits that they have come to expect from SUVs while also offering diminished size and weight. Even though this vehicle is economical in terms of size, it still provides drivers and passengers alike with many bigger than life technology tools. 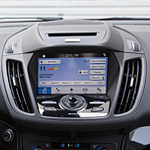 These tools encompass such goodies as the Ford – Alexa interface and cross traffic alert protections. 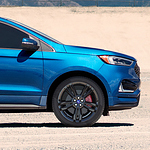 Most people have seen the Ford Edge and wondered what’s so different than some of the other models? The Ford Edge is a budget-friendly midsize SUV that has a lot more space inside than many of its competitors. It was ranked highly by US News & World Report in the same class, and it continues to boast performance while also having a more spacious cabin and cargo area. Are you in the market for a three-row SUV? At Lithia Ford of Klamath Falls, our team is dedicated to helping our consumers find the best vehicle for their needs. 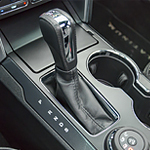 The Ford Explorer is a popular three-row SUV because it offers consumers a number of benefits, which include performance features that provide you with power and capability. Whether you need to transport a soccer team or have a business running shuttles, the 2018 Ford Transit could be the perfect full-sized passenger wagon for your driving needs. With a best-in-class 77-inch interior height, it's easy for your passengers to get in and move about the rear of the van. The seating arrangement is designs to provide everyone with an aisle seat. 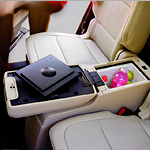 Your passengers will never have to climb over another seat or person to get to their spot. When the new Ford Escape was delivered here at Lithia Ford of Klamath Falls, our team grew excited at the thought of sharing the details of the safety features in this popular crossover with our audience. 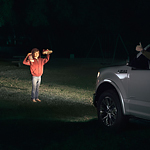 In an effort to help avoid rear-end crashes on the roads, your new Ford Escape is equipped with a Pre-Collision Assist feature for just that reason. Radar technology scans the road ahead of the vehicle and can detect the threat of a collision. If present, you'll receive visual warnings followed by the brakes powering down to assist in stopping in time. 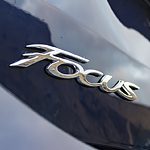 One of the factors that make the Ford Focus one of the types of vehicles that meet the needs of a variety of people is its ability to use different sources of fuel. The 2018 Ford Focus has many different editions that we have deemed worthy for our Lithia Ford of Klamath Falls inventory. Ford has announced that it will release the new Ford Co-Pilot360 with its 2019 SUVs, trucks, and cars. This is a host of innovative driver-assist technologies that help to keep you and your passengers safe. Our staff at Lithia Ford of Klamath Falls always keep our Klamath Falls consumers informed about the new innovations that come with our models, so you can read about the Ford Co-Pilot360 below. When Lithia Ford of Klamath Falls took delivery of the all-new Ford Flex, our entire staff was excited about the helpful features in this vehicle. Here are a few of those convenience features that make this the popular three-row midsize SUV of the year.